Peanut Butter Manju from Home Maid Bakery | Courtesy of Kevin W.
If you’re on Maui, make sure you stop at Home Maid Bakery early. It’s one of those places where I stop and pick up some goodies before flying back to Oahu. Happy eating! Manju. Malasadas. Mochi. The 3 “M”s…Mmmmm… If you’ve never heard of these, you are in for a treat! Home Maid Bakery is one of those places the locals go before flying back to their own island. Known as the “home of the crispy manju,” look forward to amazing fillings like peach, pineapple and sweet azuki bean (my personal fav!). The manju make a perfect souvenir to bring back home if you’re looking for something different. They’ll last the plane ride home and be a huge hit for your family and friends. 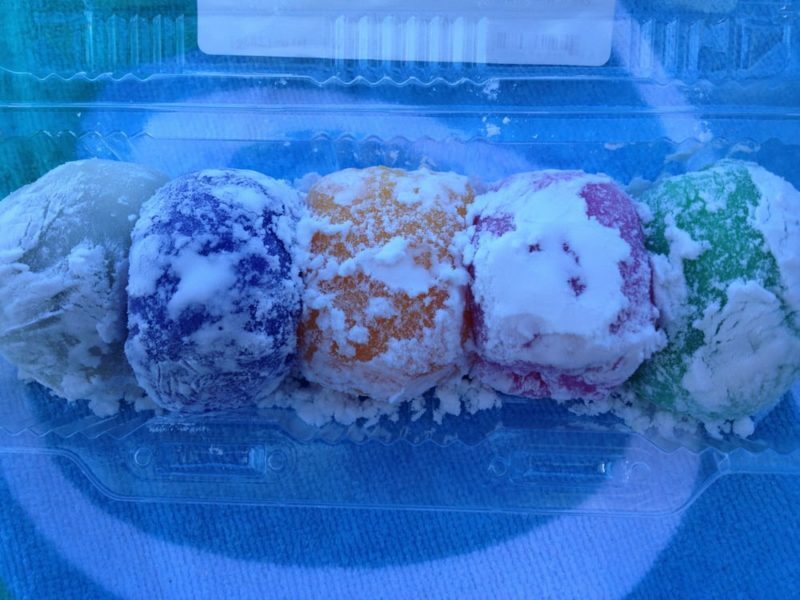 Assorted mochi from Home Maid Bakery | Courtesy of Kevin W.
Another top seller is the mochi. You can find mochi at most grocery stores in the bakery section anywhere in Hawaii, but the best mochi are found at specialized bakeries who have perfected their art for generations. There isn’t just one type of mochi either. Some are soft on the outside with a sweet filling, while others have a chewy bread texture with the flavor mixed in. With different fillings and flavors, you may have to just try them all! 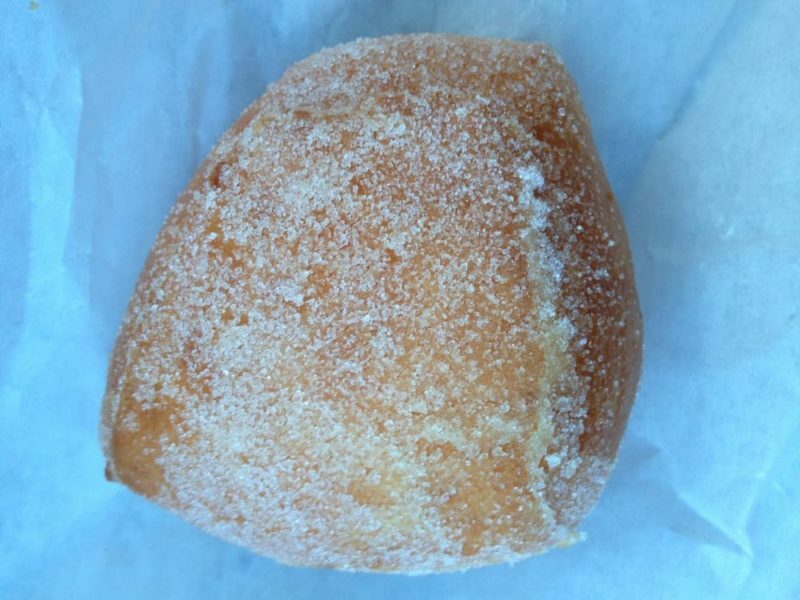 A fresh malasada from Home Maid Bakery | Courtesy of Kevin W.
Finally, we have the malasada. Malasadas are a local favorite in Hawaii and it’s always so difficult to choose the best one. But Home Maid Bakery’s malasadas are pretty close to perfection. These are made fresh for you and you have your choice of the original or cream-filled malasadas. It doesn’t really matter which one you choose, I’m sure you’ll love whichever one you gorge down! Local tip: Mochi and malasadas aren’t the best choice to bring back as they need to be eaten fresh, so save these snacks as a special something just for you when you’re in Hawaii. I personally always buy manju for my grandparents. These keep well, go great as their breakfast with coffee and are gentle on their sensitive teeth. A HUGE MAHALO goes out to Elite Yelper Kevin W. who was kind enough to let me use his photos at Home Maid Bakery. Check out his “LIVE TO EAT” journey and follow him here! Coty from Exploration Hawaii has even more recommendations for you at Home Maid Bakery. Make sure you also check out the Exploration Hawaii site as its been featured plenty of times in other publications.